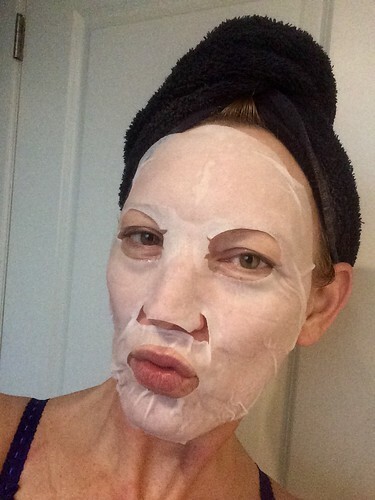 I love pampering my skin, so every week I do a complete facial with scrub and face mask. 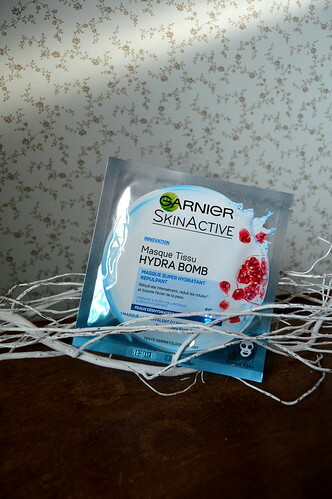 Recently I have bought a couple of tissue masks from Garnier to try out: the Hydra Bomb Tissue Mask to be precise. Read below what I think about it! 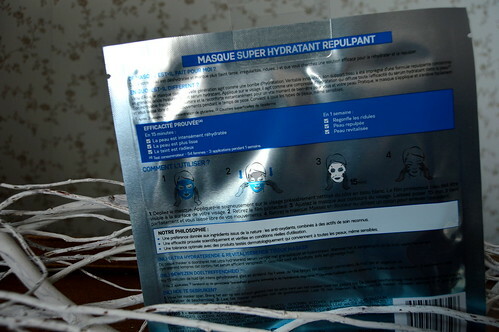 Last month a colleague of mine recommended the Hydra Bomb Tissue Mask from Garnier. As I am always eager to get to know new skincare products and as there happened to be a promotion on this mask in my local drugstore, I bought 4 masks for only 7 EUR! “Moisture Bomb Tissue Mask is our super-hydrating revitalising mask for dehydrated skin. Enriched with pomegranate extract, hyaluronic acid, and plant serum, it intensely rehydrates skin, reduces the look of fine lines, and revives radiance. Unfold the mask and apply it on a cleansed skin. Peel of the blue protective film and adjust the mask contours on the face. Leave for 15 minutes and then remove the mask. If you use this mask at night, you can just massage the excess serum into your skin. If you want to apply make-up after using this mask, I’d advice you to get rid of the excess serum with a cotton pad drenched in micellar water as otherwise, your face might be too sticky to apply your make-up. Definitely the price! The price of one tissue mask is 2,49 EUR, but I bought 4 masks at 7 EUR as there was a promotion in my drugstore. I love the fresh smell of the mask. Leaves my skin hydrated, smooth and firm. The mask doesn’t slide from my face. As I am quite an impatient person, 15 minutes is long for me. But whilst the mask is doing it’s magic I brushed my teeth, put on my body lotion and sorted out some laundry… The mask stayed on very well during these 15 minutes even though I didn’t exactly put my feet up! Here you can read a post about another tissue mask. 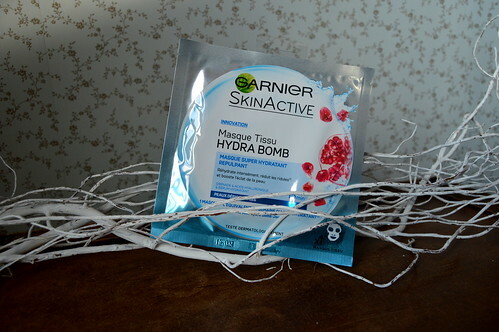 This entry was posted in Beauty, Skincare and tagged beauty, facial, garnier, hydra bomb, skincare, tissue mask.